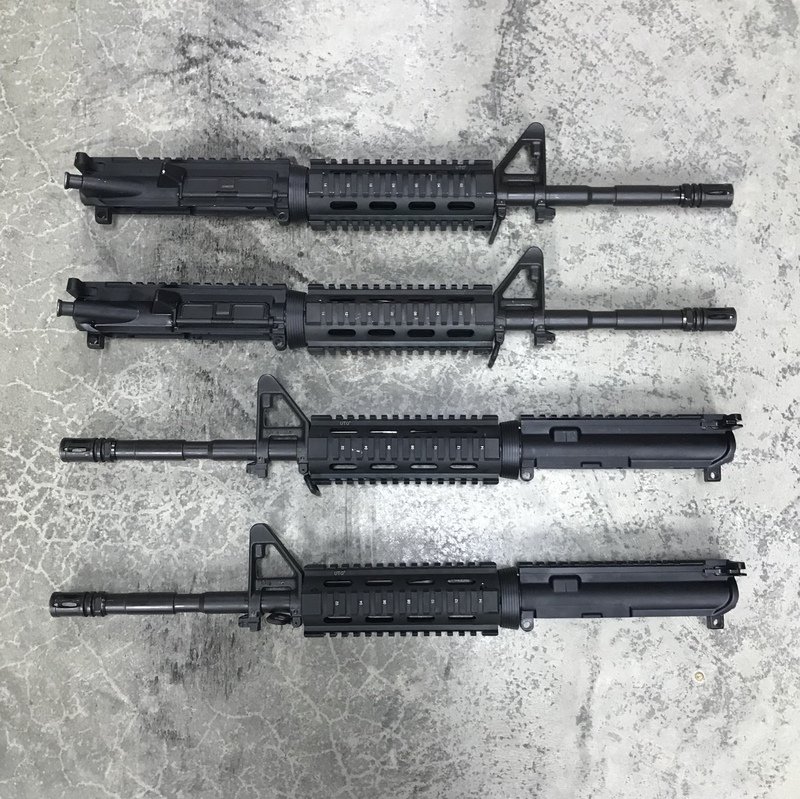 Very good condition Smith and Wesson M&P15 complete upper receiver. The barrel length is 14.5", the bolt carrier group is semi-auto, and the bolt is marked MP (magnetic particle tested). It also has the UTG quad picatinny handguard.